Super Bowl XLII: The Q & A. You know what that means. The Super Bowl Inquisitor is back! Like the guy in the movie Say Anything..who only comes out of hiding once per year dressed in a chicken suit, the SBI makes his annual contribution to my blog…sans the chicken suit, however. As is his custom, the SBI has some intriguing questions regarding this year’s ultimate NFL game. Will the New York Giants win their 11th consecutive game away from Giants Stadium? Or will the New England Patriots become the first 19-0 team in NFL history? Q: If I had told you in September that a Manning would be in the Super Bowl, would you have ever guessed it would be Eli and not Peyton? A: That would be the equivalent of asking which Hanks brother would win an Oscar this year and someone answering “Jim”. Q: Quarterback Tom Brady: He’s the NFL MVP, leader of an 18-0 team, makes millions of dollars per year and is dating super model Gisele Bundchen. How good does this guy have it? A: Right now, Brady could go to a garage sale and buy one of those “Dogs Playing Poker” paintings only to find out there’s a Van Gogh masterpiece underneath. 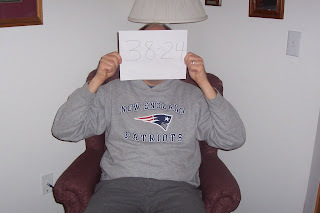 Q: The majority of NFL fans outside of New England are going to be rooting vociferously for the Giants. Why do you think that is? A: Because NFL fans don’t like to see any team other than their own have enormous success. Those same people probably vote Democrat, too. Q: So does that mean you’ll be rooting for the Patriots? A: Absolutely! If New England wins, we no longer have to endure that smug collection of 1972 Miami Dolphins popping champagne corks every year when the last unbeaten team loses for the first time. And it also means I can tell my Dad (huge 49ers fan; Patriots hater) that Tom Brady won four Super Bowl titles in less time than it took Joe Montana. Q: Do you believe the rumors that Giants coach Tom Coughlin has taken a “kinder, gentler” approach with his team this season? A: Yeah, the same thing was probably said about General George S. Patton during the 1943 invasion of Sicily…..right before he slapped one of his soldiers. Let’s hope for kicker Lawrence Tynes’ sake that he doesn’t miss a key field goal again this week. Q: Can you imagine how Tynes must have felt when he had to face a frostbitten Coughlin after missing two field goals in the NFC championship game? A: Hey, the “meaner, gruffer” Coughlin would have made the native Scot wear a kilt when attempting his next kick. Q: Is there anything that will entice you to watch musician Tom Petty perform during the big halftime extravaganza? A: Only if he’s with the rest of his Traveling Wilburys band mates. Q: Uh, you do realize that two members of that band are now deceased, don’t you? A: So? They propped up Keith Richards two years ago when the Rolling Stones were the halftime entertainment. Q: What’s a good thing to eat while watching the big game? A: As an NFL fan it is not only my right to consume foods which will make me an asset in chemical warfare, but it’s also my responsibility. Q: I got a riddle for ya. Can you name the only US President who was actually a duck? A: Yeah, yeah, I heard that one when I was a teenager. The answer is Mallard Fillmore. What, are you running out of football questions? Q: OK, here’s the finale. The Patriots are a 12-point favorite to beat the Giants. Who is your pick to win Super Bowl XLII? About 2 ½ weeks ago, ESPN personality Dana Jacobson spoke at a roast for one of her colleagues, Mike Golic. Jacobson, who was reportedly intoxicated during her speech, launched into a foul-mouthed tirade towards the University of Notre Dame, a Catholic institution and Golic’s alma mater. Said tirade included abhorrent references to Jesus Christ. So vile were the comments that I can’t bring myself to post them here, no matter how much they’re edited. Naturally, this drew the ire of many religious leaders. And given this incident has the potential for being a high profile story, I’m shocked that two of the more publicity-hungry activists seem to be sitting this one out. Oh, wait. The derogatory words were only aimed towards the Son of God, not any minorities. The gospel according the Rev. Al Sharpton and Rev. Jesse Jackson says, "Thou shall not call any Rutgers Women's basketball players 'nappy-headed ho.'" To do so requires the immediate termination of the offender. Loss of income is divine absolution in the Al and Jesse gospel. However, when a female sportscaster references the Son of God with a foul four-letter word, no sin has been committed in the eyes of Al and Jesse. In the eyes of these "men of the cloth," the use of such a verb is well within the mercy provisions of their doctrine. ESPN seems to have a different standard as well. Jacobson was suspended one week for vile comments about Jesus Christ. She should consider herself lucky. I mean had Jacobson really crossed a line by questioning the mainstream media’s bias towards, say, a black quarterback, then the consequences would have been much more devastating. Sports Einstein of the Week: Plaxico Burress. When an NFL offense sets a single season record for points in a season, typically the passing game is pretty solid. Patriots QB Tom Brady, who lead the 2007 New England Patriots to an NFL record 589 points, set the single season record for touchdown passes with 50. Wide Receiver Randy Moss caught 23 of those TDs, also a record. Ah, but New York Giants WR Plaxico Burress isn’t impressed. "We have guys that can go out and do things just as well or maybe better than some of those guys," he said last week. Yeah, but those statistics can be pesky things. Moss set an NFL single-season record with 23 touchdown catches, one more than Jerry Rice. (Wes) Welker tied for the league lead with 112 receptions. (Donte) Stallworth made catches that gained at least 30 yards in seven of the Patriots 18 games. And (Jabar) Gaffney scored six touchdowns, including an 8-yarder in the last minute to give New England a 27-24 victory at Baltimore and a 12-0 record. That's pretty tough to keep up with. Never mind the fact that Burress’ statement on its face is factually absurd. It’s never a good idea to call out a championship team like the Patriots prior to a Super Bowl. Just ask Philadelphia wide receiver Freddie Mitchell when he called out Pats safety Rodney Harrison prior to their respective teams meeting in Super XXXIX three years ago. In that game, Harrison ended up with two interceptions while Mitchell had one meaningless catch for eleven yards. New England defeated Philadelphia 24-21 for their third Super Bowl title in four seasons. Checking in from Twins Fest 2008! There’s nothing like talking baseball in late January. Given the subzero temperatures we’ve had over the past couple of weeks, it’s refreshing to think about the boys of Summer getting ready to report to Spring Training in less than a month! And there’s not a better way to start thinking about my favorite club, the Minnesota Twins, than to partake in the annual Twins Fest at the Metrodome. I don’t know if it was planned this way but the Twins created an extra buzz of excitement for this weekend by signing two of their young studs, Justin Morneau and Michael Cuddyer, to contract extensions. Whatever the case, the fans were out in droves on a Saturday afternoon at the Dome to share in the enthusiasm for the upcoming season. 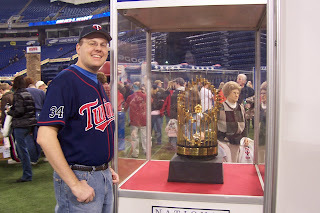 Here I am pictured with the Twins World Series championship trophies from 1987 (top) and 1991. My Wisconsin relatives always like to rib me about how their Green Bay Packers have a full case of championship trophies while my Minnesota Vikings have none. I’m always quick to reply by asking how many of the trophies pictured above do their Milwaukee Brewers have. 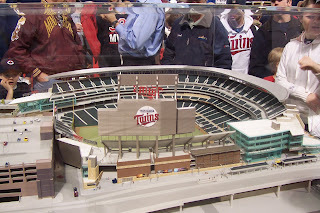 Seeing the scale model of the new Twins stadium, as well as a digitally manipulated photo of what downtown Minneapolis will look like in April 2010, has me counting down the next 26 months or so. 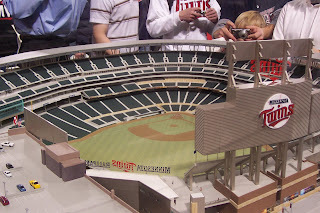 Fox Sports Net asked Twins fans to share some of their most memorable moments of the ball club. 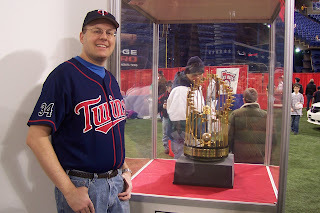 I decided to share one of my favorite memories, which was the Twins capturing their first World Series title in franchise history. FSN will hand pick some of the submissions to use during a Twins TV broadcast. 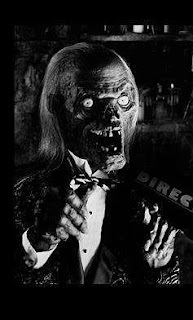 The Crypt Keeper could be seen on the horror TV show Tales from the Crypt. The wisecracking, decomposing corpse would instill fear and anxiety into any TV viewer who dared partake in a spooky episode. He would also introduce episodes with intentionally corny puns (i.e. “Hello, Boils and Ghouls"). 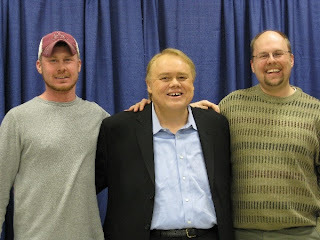 My brother Eric and I with Louie Anderson. My brother and I enjoyed seeing comedian Louie Anderson in concert at Northrop Auditorium back on December 29. I’ve been a fan of Louie’s since the mid-80s when I saw his cable TV special Louie Anderson at the Guthrie. It was also quite a thrill to see someone from the ol’ neighborhood make it big in show biz. Louie also grew up in Saint Paul, less than ten miles from where I lived as a matter of fact. One thing I noticed about Louie when meeting him backstage last month was his genuine love and appreciation for his fans. He even had a laugh when I walked up to him and said “Does Raymond Burr live here?” This was a punchline of his back in the 80s when he told the story of his Mother constantly stopping at garage sales. Louie: I’m not going in. Mom: Oh come on in. You might find a shirt. Louie: What, does Raymond Burr live here? Mom: I don’t think so. Of course, the younger audience today isn’t familiar with the late actor Burr, who was quite portly in his day. Louie told me he now uses the name of actor John Goodman when telling the garage sale story. In addition to a career in stand-up, Louie has also authored three books, was creator of the cartoon Life with Louie, which aired from 1995 until 1998, and hosted the game show Family Feud from 1999-2002. 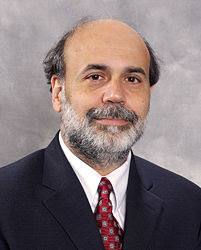 Separated at Birth: Ben Bernanke and Mark Levin. Ben Bernanke (left) is the Chairman of the Federal Reserve. 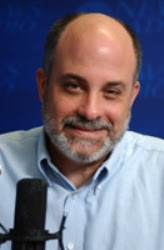 Mark F. Levin is a conservative talk show host and best selling author. You’re probably expecting me to gloat right about now, aren’t you? Well, I certainly could. And part of me even thinks it is my inalienable right to do so. After all, I could reveal names of the multitude of classless Packer backers who needled me incessantly in the days after my lowest moment as a Minnesota Vikings fan. It was January 17, 1999 when my favorite NFL squad was an 11-point favorite at home in the NFC title game against the Atlanta Falcons. After a stellar 15-1 regular season and a then record breaking offense (556 total points, usurped by the ’07 Patriots with 589), the Vikes looked primed to make their first Super Bowl appearance in 22 years. With a 27-20 lead and just over two minutes remaining in the fourth quarter, the Vikings were looking to put the nail in the proverbial coffin. Kicker Gary Anderson was coming on to attempt a 39-yard field goal to give them a 10-point lead. This is the year where Anderson didn’t miss a kick. Not in training camp drills, practice, preseason, regular season, nor playoffs. NEVER!! So you can imagine how my heart sunk when Anderson hooked the kick just wide to the left. Atlanta would go on to tie the score with less than a minute to go and send the game to overtime. In the OT, Falcons kicker Morten Andersen booted the game-winner to give Atlanta the 30-27 victory and a berth in the Super Bowl. I have never watched highlights of that game since. Not even when they replay it on ESPN or the NFL Network. So in the immortal words of former President Bill Clinton, “I feel your pain.” Therefore, I am taking the high road on this one simply because I’ve been where you’re at right now. A big favorite at home in the NFC title game, only to lose in OT by a field goal. But unlike us tortured souls who call ourselves Vikings fans, take solace in one incontrovertible truth: Your club has three of those Vince Lombardi trophies on display. Help wanted...and not just in Center Field. Since being fired given “Transition Employment” from my last full-time job six months ago, I have yet to find that ideal permanent position. I’ve been doing consulting since that time while I’ve continued to search for a corporation where I can envision working long-term. So today I got an e-mail regarding an opening for an Accounting Manager. A certain local sports team!! Now I am well aware that the phrase “job security” is the biggest oxymoron this side of Cedric the Entertainer. 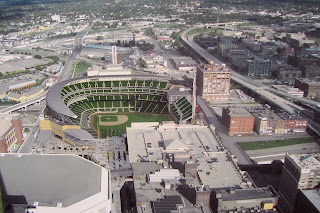 But with a brand new stadium slated to open in the Spring of 2010, I’m thinking the Minnesota Twins will be around for a while. That said, I sent off my application and resume this morning!! Sports Einstein of the Week: Dutch Wydo. Every Saturday morning I’m up by 8:00 am to listen to Saturday Sports Talk with Dutch Wydo. Dutch, my wife’s cousin, broadcasts live 9-10 ET from a small station near Pittsburgh. If you like sports, do yourself a favor and check out Dutch's show sometime. They have a webcast available at www.wmbs590.com. While I am impressed with Dutch’s knowledge and insight into the world of sports, his credibility took a hit on his show this morning. He seems convinced that the New England Patriots have been cheating since they won their first Super Bowl after the 2001 season, despite the 2007 regular season opener being the first time they were cited. The St Louis Rams played at New England during the ’01 regular season. In the Rams 24-17 win, they racked up 482 yards of total offense against the Pats. But somehow in the Super Bowl a few months later, the Patriots were able to spring a 20-17 upset despite being the vastly inferior team in terms of stats, records, etc. 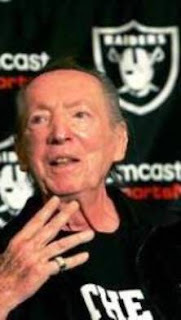 Dutch was of the opinion that coach Bill Belichick used his spy cameraman against the Rams that Super Bowl, which accounted for the dramatic turnaround in results. In a 7-point loss in a November 2001 regular season game, the Pats weren’t cheating because they allowed almost 500 yards of offense. However, they somehow forced the Rams into three turnovers. But in a 3-point win in the Super Bowl, the Pats were cheating? Forget the fact they again gave up big yardage (427 yards total offense by the Rams) and once again New England forced three turnovers. Huh. With that kind of overwhelming evidence, I have no idea how the New England Patriots managed to get away with it all these years. NFL Championship week: Haven't we met before? In this week’s NFL conference championship games, both road teams are looking to avenge a Week 2 shellacking handed down by their respective opponents. After an entire week of fielding questions about “Spygate”, the New England Patriots did their best to stay focused on their Week 2 battle with the San Diego Chargers. A resounding 38-14 victory proved the Patriots didn’t need no stinking cameras to dominate their opponent. While the New York Giants will be traveling to Wisconsin on Sunday to take on the Green Bay Packers, they were the home team in their September 16 matchup. Including that 35-13 pounding at the hands of Green Bay, the Giants were merely 3-5 at home. However, they have been the consummate road warriors this season with a 9-1 record (including playoffs) away from Giants Stadium. Despite the fact that the Chargers and Giants are vastly improved over the past four months, I don’t see either of them winning on Sunday. QB note: Given their respective performances against my favorite NFL squad back in November, I would have thought it more likely for Hillary Clinton to be voted Miss Congeniality than to have QBs Philip Rivers and Eli Manning in the final four. In the Chargers’ 35-17 loss to the Vikings on November 4, Rivers was dreadful. In addition to throwing an interception and losing a fumble, he at one point threw eleven consecutive incomplete passes. Three weeks later, the Vikings trounced the Giants 41-17. In that game, Manning threw four interceptions (three of which were returned for touchdowns). And now, my official predictions. Chargers (+14) at Patriots: The key to San Diego’s upset over the Colts last week was their solid defense against Peyton Manning and Co. They forced three turnovers, including a huge Marvin Harrison fumble deep in their own territory. At that point, the Colts looked poised to go up by 14 points early. The problem here is that the Pats just don’t turn the ball over. In 17 games, New England has only given up 15 turnovers. And did you see quarterback Tom Brady’s performance last week? A ridiculous 92.8% completion rate, which is an NFL record! I’m thinking Brady was a surgeon in another life. Oh, and the Pats have discovered that they actually have a running game. RB Lawrence Maroney has averaged 107 yards per game over the past four contests. Add it all up and the Patriots move on to their fourth Super Bowl in seven years with a 38-21 win. Giants (+7) at Packers: Despite three straight impressive performances, Giants QB Eli Manning will face by far his toughest test. However, I believe the Giants can effectively run the ball, thus keeping Brett Favre and Co. off the field. When faced with treacherous conditions in Buffalo last month, the “Thunder and Lightning” combo of 264-pound Brandon Jacobs and speedster Ahmad Bradshaw teamed up for 296 yards rushing against the Bills. And the Giants march into Lambeau Field with the swagger of having won nine consecutive road games. Alas, their defensive secondary is pretty banged up. CB Kevin Dockery is out with a bad hip, Sam Madison is questionable with a stomach muscle injury and rookie Aaron Ross left last week’s game against Dallas as a result of a bad shoulder. That means Favre should have plenty of opportunities in those five wide receiver sets. And he’ll need to take advantage as RB Ryan Grant may find the sledding tough against the NFL’s 8th ranked run defense. But in the end, Favre and the Lambeau mystique will win out. Packers win 27-24. Ten years ago this month. Man, I love the NFL Network!!! I just got done watching a replay of Super Bowl XXXII. In that big game, the Green Bay Packers were looking to repeat as champions as they took on the Denver Broncos. Hard to believe that was ten years ago this month. Broncos QB John Elway, a three-time Super Bowl loser, was looking to exorcise the demons as the 37-year old was definitely nearing the end of his career. But for the first time in said career, Elway brought to the big game a stud running back. Terrell Davis had rushed for 1,750 yards and 15 touchdowns in the regular season. And he was the catalyst behind three playoff wins (including two on the road) which brought Denver to the Super Bowl. I recall that particular Super Bowl fondly, not only because the Packers lost but also for the fact I was willing to stick my neck out in predicting a Broncos victory. Green Bay was about a 12 or 13 point favorite. In general I’m not the most accurate prognosticator when it comes to the NFL regular season. But I almost always nail the big game. And in this one, I made my boldest prediction. At the time, two of my dearest friends were big-time Packer backers. And they were absolutely incredulous that I would pick against the spinach green and lemon yellow green and gold juggernaut. They were even more blown away at my detailed prediction. I said Denver would win 31-28. I went a step further and said Davis would rush for over 200 yards, two touchdowns and be named MVP. My buddies laughed uproariously. As game day approached, Tony kept inviting me to his big Super Bowl shindig at his home. I kept on refusing because, as I kept telling him, I just didn’t feel right about dancing a jig in front of all the Green Bay fans when the Broncos won. I could tell he was getting angrier each time I repeated my bold proclamation. Alas, he was too gutless to make a bet. So I went to Dave. Since the three of us hung out every Monday evening back then, I said I would buy a Packers sweatshirt and cap to wear out the night after the Super Bowl if the Packers won. But if Denver won, Dave agreed to wear my five-year old Vikings sweatshirt (which reeked of my favorite bar) and ratty ball cap. Terrell Davis ran for 157 yards (and it would have been over 200 had he not missed the entire second quarter due to a migraine), scored three TDs and was named MVP. Dave did indeed honor his bet. Tony, however, came down with the “flu” the next night and didn’t hang out with us. Come to think of it, I didn’t see him the next week either. Oh well, victory was mine!!! NFL Divisional playoffs: Colts need their lucky horse shoe. Seahawks (+7 ½) at Packers: All of the Packer detractors (including myself) are quick to point out that Green Bay has lost two of its last three home playoff games. While that might be true, can you remember the last time the Pack lost a home postseason game after a bye? Neither can I. Packers win, Hawks cover. Jaguars (+13) at Patriots: They key here is for the Jags to run the ball down the Patriots’ collective throats and keep the ball away from the vaunted New England offense. And I believe they can, given that the Patriots are very susceptible to the run. But the Jacksonville defense will not be the beneficiary of four turnovers by Pats quarterback Tom Brady as they were last week with Steelers QB Ben Roethlisberger. Patriots win and cover. Chargers (+8 ½) at Colts: When was the last time a defending Super Bowl champion followed up that season with a 13-3 record the next year, and did so relatively unnoticed? Welcome to the world of the Indianapolis Colts. Despite all the headlines going to the New England Patriots for going 16-0, the Colts very quietly put together another championship-caliber season. Even better is they’re finally getting back perennial All-Pro WR Marvin Harrison, who had been out for over half the 2007 season with a bad knee. All the stars finally seem to be aligning for the Colts. Alas, I’m picking this game as my upset special. With no DE Dwight Freeney, the Colts have been hampered by a lack of a pass rush. No doubt the Colts defense will be committed to stopping San Diego RB LaDanian Tomlinson, which will give QB Philip Rivers some downfield opportunities. Rivers showed last week he can take advantage of 8-9 men in the box. And he will do so again on Sunday in what will be the big upset of the playoffs. Giants (7 ½) at Cowboys: Let’s get one thing straight: If you can beat a team twice in one season, you can beat them a third. Yes, the fallacy of “It’s hard to beat a team three times in one year” has been the big storyline of this matchup. Giants QB Eli Manning has been on a roll, and played well against the Cowboys in the two regular season meetings. But WR Terrell Owens is planning on returning to the Dallas lineup. He torched the Giants in both games this season and is prime for a coming out party. Cowboys win and cover. Tiger Woods is, in my humble (but accurate) opinion, the best Pro golfer who has ever lived. Woods’ later father, Earl, was part black. But Tiger’s race has become pretty much a non-issue once he started dominating the sport this millennia. Unfortunately, the racial component has been thrust back into the headlines after a remark made by Golf Channel commentator Kelly Tilghman. During their usual post-round banter as they wrapped up Day 2 at the Plantation Course at Kapalua, Tilghman and cohort Nick Faldo discussed young players who could possibly challenge Tiger. Faldo, ever the joker, said perhaps the youngsters should "gang up (on Tiger) for a while." The pair laughed a bit before Tilghman responded by saying, "Lynch him in a back alley." I happened to hear the audio of this conversation. Combine that with the context and I do not believe in any way that Tilghman was purposely making a racist remark. But certainly she could have come up with a more constructive term than “lynching.” She must have been bitten by the disease that inflicted former Governor Jesse Ventura: Speak first, think later. I would be willing to bet this endorsement was done out of spite. John Kerry, the 2004 Democratic presidential nominee, gave Barack Obama a timely endorsement Thursday, snubbing Hillary Rodham Clinton as well as his own vice presidential running mate. Kerry came to South Carolina to embrace Obama, two weeks before the state's primary and with Obama needing a boost after Clinton's emotional victory over him in New Hampshire. Quoting a black American hero in endorsing the man who hopes to be the first black president, Kerry told a cheering crowd, "Martin Luther King said that the time is always right to do what is right." Now is the time, Kerry said, to declare "that Barack Obama can be, will be and should be the next president of the United States." The Massachusetts senator said there were other candidates he had worked with and respected but Obama was best able to bring Americans together. Well, that, and the fact Obama never threw Kerry under the bus after his “botched joke” in late 2006 where he appeared to imply that the troops in Iraq were “uneducated”. The backlash caused Kerry to announce shortly thereafter that he would not run for President in ’08. And Obama was not Kerry’s running mate in ’04 who torpedoed the campaign efforts a month before the election by insinuating paraplegics will walk when Kerry is President. Not that Kerry would have won anyhow. But John Edwards' asinine statement sure didn’t help. Yes, I would not put it past Kerry to make this endorsement out of disdain for Clinton and Edwards. Who could forget his pettiness and petulance on full display during the ’04 Presidential campaign? Kerry broke Presidential race etiquette by continuing to campaign during the GOP convention. He then exacerbated said pettiness by holding a midnight rally in Ohio just minutes after the convention ended. Given the 2000 Presidential loser’s endorsement was a kiss of death (Al Gore endorsed Howard Dean in ’04), is there any chance Obama could rescind Kerry’s approval? A report from MN Senate District 49. We had a great meeting Tuesday evening with our fellow Senate District 49 Republicans. Given the drubbing suffered by the Minnesota GOP in the 2006 elections, I was overjoyed to see our meeting room filled to capacity! We here in SD 49 are privileged to have 2 of the 49 Republicans remaining in the Minnesota House. Both Reps Chris DeLaForest (49A) and Kathy Tinglestad (49B) were in attendance. And both eloquently provided insights on what’s in store for Minnesota in 2008, both locally and nationally. Another bit of great news to come from tonight was that the GOP caucus in 2007 set an all-time record for fundraising! Combine that with the utter ineptitude of the freshman class of DFLers and you have the Minnesota GOP prime for a huge comeback in ’08. Tingelstad, who is a member of the Capital Investment Finance Division Committee, shared her experiences in working with a Democrat majority. As a member of such a prominent committee, she has had to travel all over the state with the new DFL members and listen to them promise their constituents tremendous amounts of funding. In short, the committee must now find a way to allocate $800-$900 million where $4 billion was promised. Yes, it’s likely to be a short honeymoon for first term DFLers elected in prominently Republican districts. In fact, Scott Kranz (DFL-51A) of Blaine is not even running for a second term. I was told it was because he found life in the legislature “too political”. A former teachers union president finding any other endeavor “too political”? That’s rich! Questioning of Clemens leads to more questions. I wanted to believe Roger Clemens. But at the end of his 60 Minutes interview Sunday evening, I felt as though I had more questions than answers. The once shoe-in Hall of Fame pitcher was brought on the popular news magazine show to answer accusations of his steroid use. Clemens’ former trainer Brian McNamee alleged in the Mitchell Report, released publicly on December 13, that he injected Clemens with steroids and human growth hormone (HGH) on several occasions from 1998 through 2001. The first question I had when all of this occurred was what incentive did McNamee have to lie? There is certainly no financial gain to be made from such a fabrication. On the 60 Minutes piece, Clemens was asked that very question. He replied that McNamee was merely trying to avoid jail for buying and moving steroids. That brought me to my next question: Wouldn’t perjury result in a much harsher penalty than distribution of steroids? Besides, Clemens’ good friend and teammate Andy Pettitte confirmed McNamee’s allegations of Pettitte himself receiving injections of HGH back in 2002. With that admission, combined with Clemens’ initial non-response to allegations of his own use, McNamee appeared vindicated. Besides, it was only within the past week or two that Clemens had finally issued emphatic denials. So why the delayed response, Roger? My guess is he was consulting with his attorneys on how to craft a reply to McNamee’s allegations. To further add to the escalating drama, some audio clips of Clemens’ January 4th telephone conversation with McNamee were released to the public. A recording of last Friday's conversation between Clemens and Brian McNamee was played Monday at the start of Clemens' news conference. Clemens' lawyers said that because McNamee didn't deny Clemens' claims that he never used steroids, it amounted to proof that Clemens was telling the truth. During the tape, McNamee never said he lied when he told baseball investigator George Mitchell last year that he injected Clemens with steroids and human growth hormone in 1998, 2000 and 2001. I was especially intrigued by two different statements uttered by McNamee. Keep in mind, McNamee had no idea the conversation was being recorded. Now, was McNamee being hyperbolic here or was he insinuating that he would tell prosecutors he lied about Clemens’ steroid use (even though he didn’t lie) to help Roger save face? After all, McNamee conceded to Clemens’ that Roger treated him “like family” during their working relationship. "I'm in your corner. I'd also like not to go to jail, too." Then McNamee asked repeatedly "what do you want me to do?" After filing a defamation suit, all Clemens wants McNamee to do now is show up in court. Clemens filed the suit Sunday night in Harris County District Court in Texas, listing 15 alleged statements McNamee made to the baseball drug investigator George Mitchell. Clemens claimed the statement were "untrue and defamatory." "According to McNamee, he originally made his allegations to federal authorities after being threatened with criminal prosecution if he didn't implicate Clemens," according to the 14-page petition. To me, that is a whole new can of worms. Were there Federal authorities so hell-bent on nabbing a big name like Clemens in their steroids crackdown that they coerced McNamee into making such statements? That is the question that I, as a baseball fan, desperately want answered. 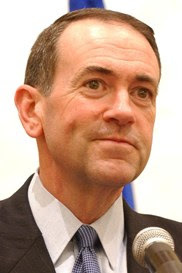 Mike Huckabee (left) is a former Arkansas governor and current GOP Presidential candidate. 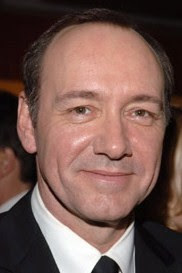 Kevin Spacey is an actor and a personal friend of that other former Arkansas governor. Especially after a stunning development in Thursday’s special election in Minnesota Senate district 25. DFLer Kevin Dahle, a high school teacher who has never held public office, defeated former Rep. Ray Cox, R-Northfield, to win the seat that Sen. Tom Neuville, R-Northfield, held for 17 years before being appointed to a Rice County judgeship. The Republican Party had banked on Cox taking the torch from Neuville, but Cox's experience-- two terms in the House, 15 years on the school board and five on the planning commission -- apparently wasn't enough. This result makes things even more perilous for Senate Republicans. The win gives the DFL the two-thirds majority it needs in the 67-member Senate to override vetoes by the governor. My wife and I have been especially active politically since the 2004 elections. We were incredibly proud of our efforts (phone banking, registering voters, etc.) in the re-election campaign of President Bush in ’04 and the US Senate bid of Mark Kennedy in 2006. But as Pat Shortridge of the blog Truth vs. The Machine pointed out in a November post, local politics is where we on the Right are practically conceding to the DFL. The Right side of the spectrum still doesn’t get it when it comes to the importance of local elections. Our side gets all hepped up about the White House or a huge Senate race, over which we as citizens have relatively little control. But when it comes to the areas where we can have the most impact - electing mayors, city councils, school boards, etc, - we are just giving it away to the other side, barely even in the game, with a very few notable exceptions. Ouch!! I don’t know about you but I feel that post was aimed directly at me. I’ve been receiving notices for some time from my local Senate district as well as prominent candidates for city council, mayor, etc. and have been a consistent no-show in the grass roots efforts. I recently received notification of my Senate District meeting this Tuesday the 8th. You won’t be able to keep me away! NFL wildcard weekend: You can't beat home cookin'! DISCLAIMER: The following picks against the point spread are for recreational purposes only. Jaguars (-2) at Steelers: Every year I keep hearing how the Jags are the team no one wants to face in the playoffs. Their last playoff victory was in the ’99 postseason. I imagine the Steelers are still agitated after Jacksonville ran roughshod over them in Pittsburgh last month. Steelers QB Ben Roethlisberger will come up big in leading his club to a 24-14 victory. Redskins (+3 ½) at Seahawks: While the Skins have been a nice story in dealing with the tragic death of teammate Sean Taylor, adrenaline and sentiment only get you so far. The Seahawks end Washington’s magical run in a 28-24 win. Titans (+9) at Chargers: This just in: LaDanian Tomlinson has already scored a TD for the Chargers….and they don’t even play until Sunday. Chargers roll, 31-14. Giants (+3) at Buccaneers: Yeah, I know the Giants were 7-1 on the road this regular season. But the record I’m focused on is 4-11. That‘s the 2007 record of teams in the their following game after playing the New England Patriots. Make it 4-12 as the Bucs win, 20-14. "If drafted, I will not run; if nominated, I will not accept; if elected, I will not serve." American Civil War General William Tecumseh Sherman when he was being considered as a possible Republican candidate for the presidential election of 1884. If offered the job, I will not accept. If chosen for work, I will not serve. Better yet, have you ever seen that whack-a-mole game? I felt like all three moles combined after that interview. Bottom line, something just didn’t feel right. I learned a lesson from last year when I accepted a job where I just didn’t feel 100% sold. As it turned out, I would get the gas pipe five months later. The good news is I still have options. As I mentioned this week, I start a temporary gig on Monday the 7th with a firm just five miles from home. And there is a real possibility of it turning into something permanent. Until then, the saga continues. For some time I’ve been told that Thursday nights at Keegan’s Irish Pub is the place to be. That is the night of the official pub quiz, which takes place at 6:30 and again at 8:00. I finally decided to partake last evening and had an absolute blast! My team consisted of fellow MOBsters Ben, John and Chris. We took second place in the first quiz, scoring 21 out of 25!! The prize was a free drink for each team member plus the chance to win a trip to Boston just before St. Patty’s Day! I decided to sit on the sidelines for the second quiz and hang out with a couple of other MOB guys, Andy and Barry. I figured I needed a little luck of the Irish last night as I have a big job interview with a local Fortune 500 company this morning! I already had a 30-minute phone screen last month. Today, I will be meeting with four different people for a half hour each. I start going through the gauntlet the interview process at 9:00. Usually when we go to the health club at 6:30 pm or later, my gal and I find a parking space relatively close to the front door. Upon arriving at 6:45 this evening, there was not a spot to be had. So we didn’t need a calendar to know what time of year it was. Yes, the folks who made losing weight their New Years resolution were out in full force this evening. But if the statistics hold true, there will be plenty of parking available again within the next three weeks. In looking back to last year at this time, I too resolved to lose some weight. And for the first half the year I went from 218 lbs to 205. But as I wrote yesterday, the second half of our 2007 was rather tumultuous. I guess I used said tumult as an excuse to cast off all restraint in the food department. So when I stepped on the scale yesterday for the first time in weeks, I weighed…….218. That’s right. I’m right back where I started. The good news is I’ve eaten very well the first two days of this year and had a great workout this evening. There’s an old Chinese proverb that says “A journey of a thousand miles begins with a single step." I guess I can adhere to that Chinese philosophy just so long as I don’t indulge in the Chinese food. Bring on the new year!!! As far as my wife and I are concerned, we’re glad 2007 is in the history books. And to think that the first half of the year was relatively quiet. It was only after celebrating our 7th anniversary on 07/07/07 that the proverbial roof caved in. -On Monday, July 9, my wife’s sister had a severe ulcerate attack which landed her in the hospital for several days. -Two days later we received word that the IRS wanted to make adjustments to our 2005 & 2006 tax returns. With back taxes, penalties and interest, they informed us we owed them close to $4,000.00! -Then two days after that (on Friday the 13th no less) I was informed I was being fired placed on “Transition Employment” with a job I had all of five months. Basically, I had to transfer knowledge of my job responsibilities to a replacement over a two-week period (nine working days total). If I agreed to do so, I would be given two weeks severance. If not, I was told never to return to the premises. I agreed to fulfill my sentence work with the new person in order to receive severance. So after working with the replacement two days, I received a voice mail message on my cell phone saying I needn’t bother coming back. My boss insinuated that I wasn’t providing a whole lot of value to the new person in transferring my responsibilities. I guess the good news is I still got the two weeks severance. -In mid-August, my Dad and I had a big blowout over the phone after I had written him a letter in July that I was abhorred by his continued belligerence towards me and my wife over inane subjects. After going through therapy sessions in an attempt to come to grips with my relationship (or lack thereof) with Dad, I finally told him how I felt. In typical Ed Carlson fashion, he deflected all culpability. He did so with such actions as pointing out my shortcomings as well as blaming my Mother for his moving to California when I was four. Bottom line, I was unable to rationalize with the irrational. -In late October, my Father-in law had a reoccurrence of his prostate cancer. During the exam which led to that diagnosis, he was also told his bladder was riddled with cancer. A complex five-hour procedure was scheduled for early November to remove his bladder and prostate. Faux organs would subsequently be made out of his colon. It was a minor miracle that he survived the surgery given his myriad of other health challenges (i.e. weak heart, blood not clotting due to his chronic leukemia, etc.). However, within a week after the surgery, we were devastated to learn that my Father-in law’s cancer spread to his lymph nodes and has been deemed inoperable. -On December 21, I was hit from behind in my car for the fourth time in the past 4 ½ years. As I write this, my car is still being repaired with what appears to be extensive damage underneath the trunk area. Thankfully, I escaped with only a bruised knee and slight stiffness in my neck. I am happy to report, however, that 2008 has already brought about positive resolutions to some of the aforementioned incidents. Given we haven’t been home much since Friday, I finally got around to checking the mail today. We were notified by the IRS that we provided them satisfactory documentation for the items they questioned on our past two years’ tax returns. No adjustments will be made after all!!! Since January of last year, I have interviewed three times for an Accounting/Finance position for a company five miles from my home. Each time, I have been unsuccessful in landing employment. However, on Monday January 8th, I will be working for this place on a two-month contract basis with a good possibility of landing there permanently (if I so desire). My persistence may finally pay off!! I can honestly say during that tumultuous six-month period, my wife and I never questioned that the Lord would see us through. We realize that His ways are much higher than ours and that He sees the end from the beginning. Admittedly, we really wished that God had let us in on the outcome sooner. Nevertheless, we’re here as a testimony to God’s grace, blessings and comfort. May your 2008 be all that God intends for your life! !